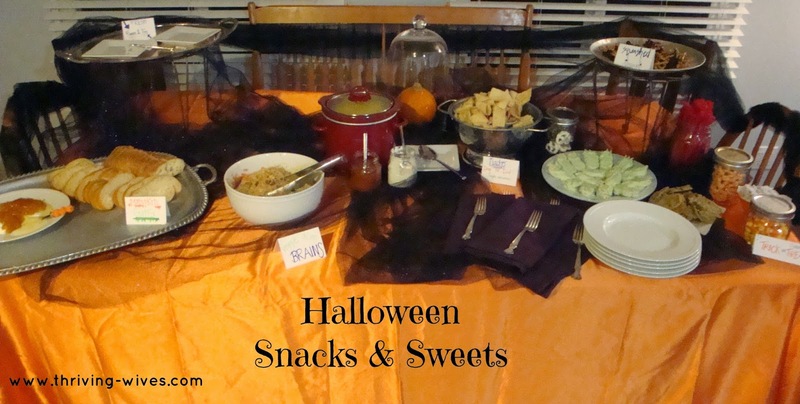 Since I had decided to throw together a Halloween Party in a Pinch, I knew I had to make a delish yet spooky spread. Since the table was set, I got to thinking about what I could make and even better...what I could label! 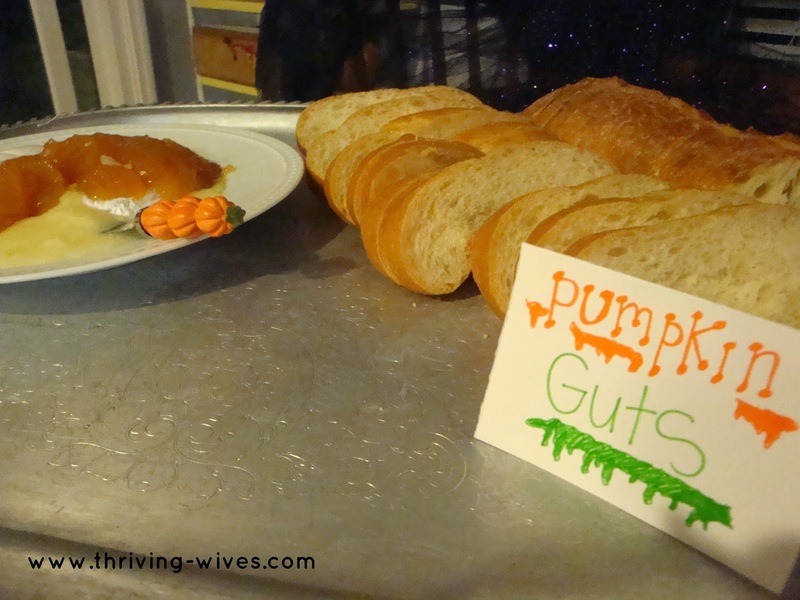 I love to make little signs for all my dishes because I know as a guest I always like to know what I am eating. But these weren't going to be your regular run of the mill markers, these of course had to be creeeeeeepily creative. I created an Asian noodle dish complete with fresh vegetables, glass noodles and an assortment of sauces. 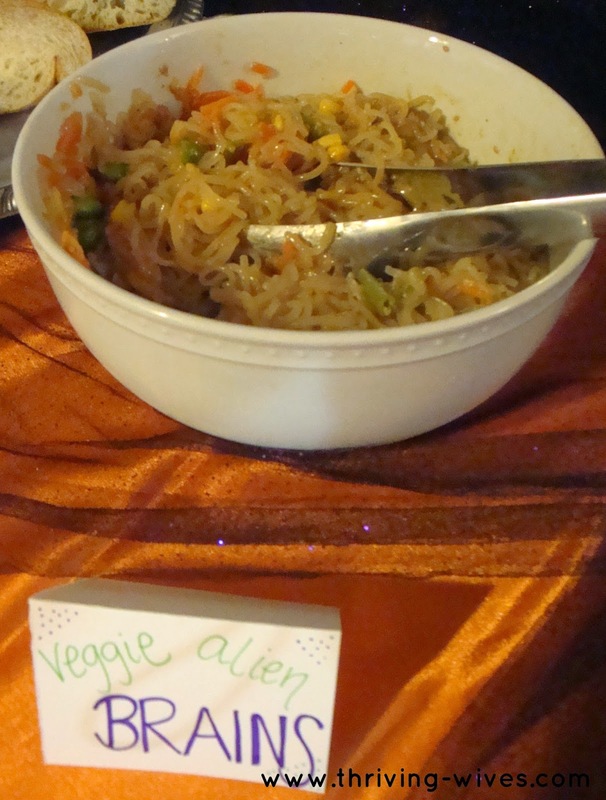 Once mixed up and in a bowl I had Veggie Alien Brains to share. 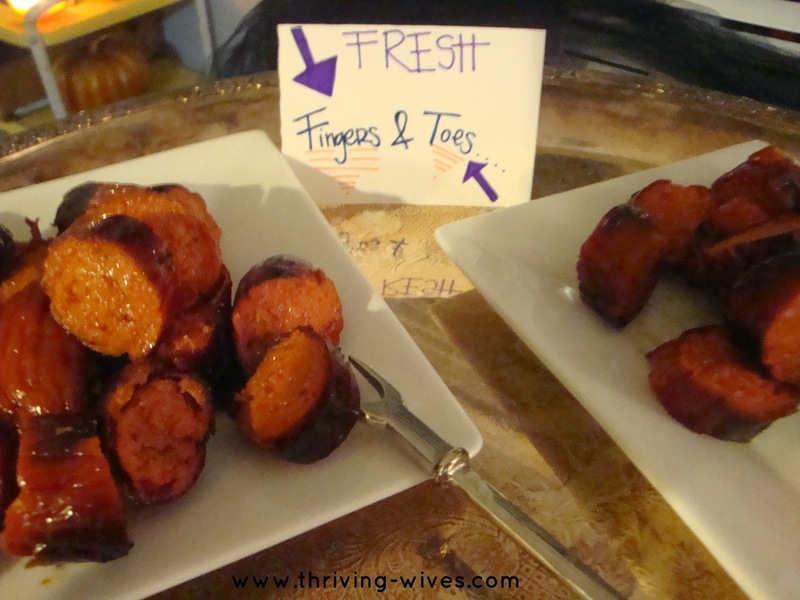 For the meat lovers in the house, I grilled up an assortment of sausages and cut them up so they resembled dismembered Fingers & Toes. 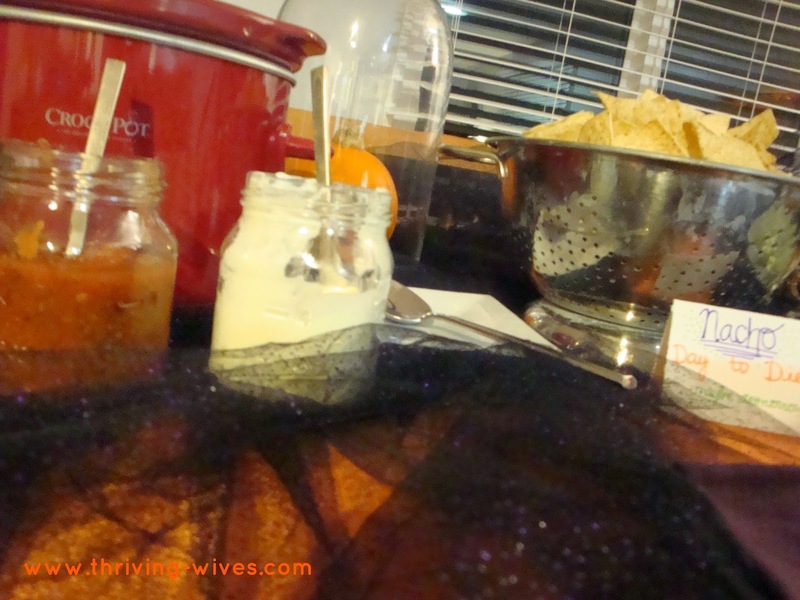 My favorite snack of the night, Nacho Day To Die. That's right, a mini crock pot full of bean-y nacho cheese with tortilla chips, sour cream, salsa and fresh jalapenos. Yuuuumo! One of my favorite snacks to serve is baked brie with apricot jelly and french bread. Or in this case, Pumpkin Guts...fresh from the oven of hell! 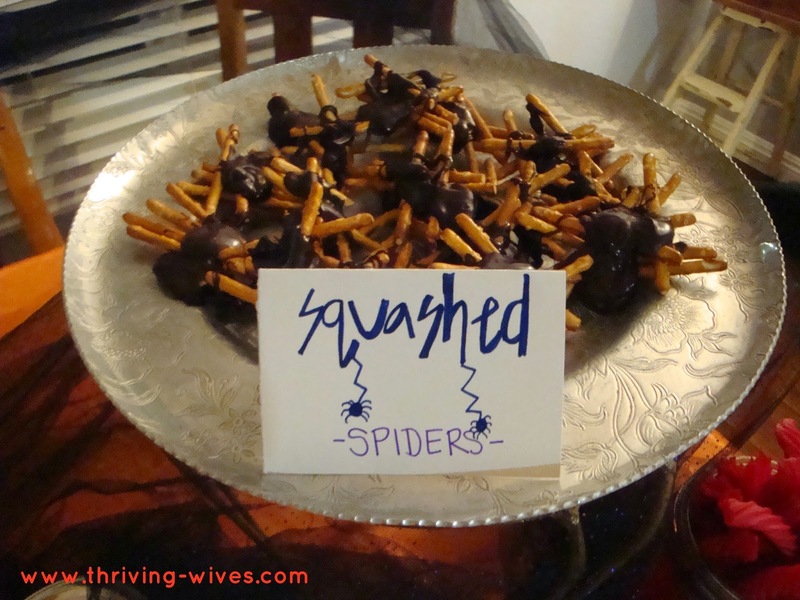 With so many snacks, I had to make sure and showcase my latest favorite in spooky sweetness; Squashed Spiders! 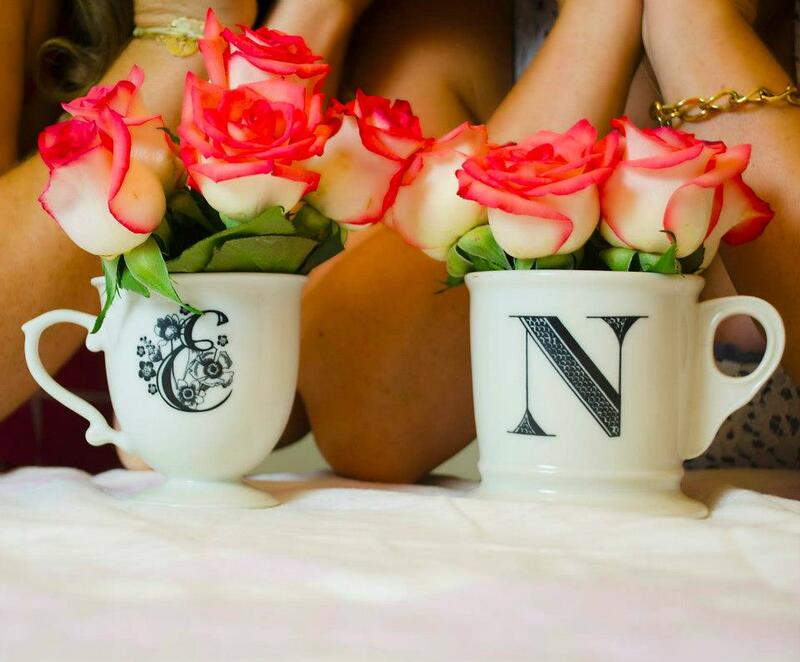 These are beyond easy to make and just about the cutest thing I think I have ever thought of. Place four stick pretzels (in a row to make eight legs, duh) on wax paper, add a dollop of melted chocolate to the center and refrigerate. Moments later you too will have an eight legged treat to eat. We had a lovely night checking out costumes and enjoying great food and company. Looking forward to another Halloween, this time with two little ones to help hand out candy. What do you have in store this year? 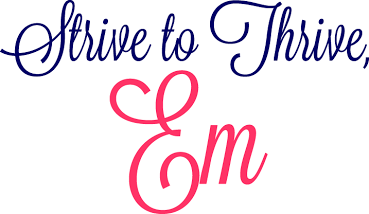 Planning to be a hostess with the mostest or heading out to hit up the town?